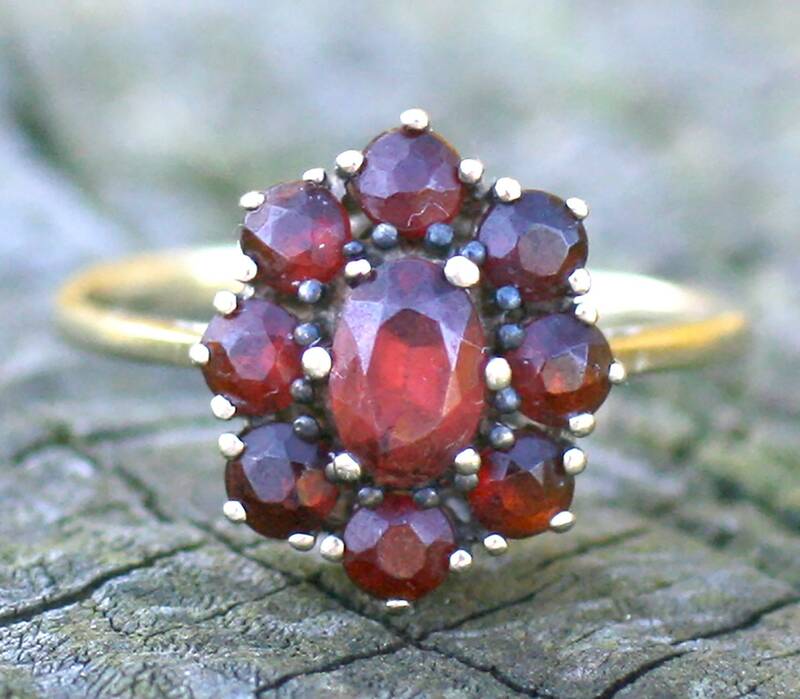 Description: Here is wonderful vintage or antique 8 karat (hallmarked) yellow gold and (Bohemian) garnet cluster ring. It has an à jour setting which means the light shines through it beautifully. There are 9 deep, dark red rose cut garnets in total, one large central one surrounded by 8 smaller. Era: Unknown. The style is too classic to age this accurately. Possibly 1910s. Materials: stamped 8 karat yellow gold. Beautiful garnets, probably Czech (Bohemian) and probably pyrope or almandine. Manufacturing: Probably a combination of casting and benchwork. Value Points: This is such a timeless and classic ring. 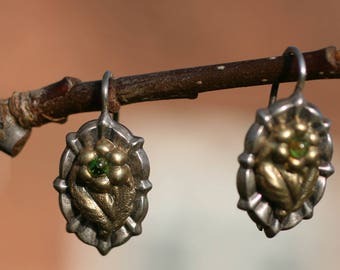 The garnets are truly beautiful in the sunlight or candlelight, rich deep and mesmerising. Simply gorgeous colour and depth. I truly love them - think of the reddest, dark red rose petal imaginable and that is the colour of these gems.